Offline Files The single most useful Windows feature you’ve never heard of, it allows you to work with files on a network share even when you’re disconnected. Windows Live Mesh Another Microsoft file-sharing technology, this one is ideal for keeping folders in sync on two or more PCs, with online backup as a bonus. LastPass Create random, unique, impossible-to-guess passwords for websites and store them in a secure online vault that automatically keeps other PCs in sync. 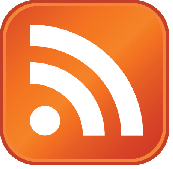 FeedDemon 3.0 If you get your news from RSS feeds, you need this brand-new update to one of my all-time favorite Windows programs. Xmarks How do you keep bookmarks organized between multiple browsers on multiple PCs? This cross-platform add-in (formerly Foxmarks) is just the ticket.